Our newest addiction is Draw Something. When we play a game like Pictonary we tend to dominate. My husband and I began playing Draw Something and now I will get reminders throughout the day that it’s my turn to play. It’s fun, but we hit 99 turns and now it no longer counts our turns. We’re too good. My drawings stink, but they get the point across. 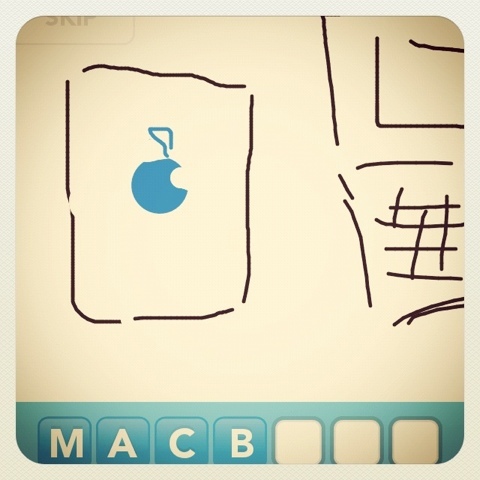 This entry was posted in Instagram, Project 366 and tagged Addiction, draw something, Instagram, iphone, project 366. Bookmark the permalink.